A Greendale "original" designated historic dwelling within walking distance of the quaint village of downtown Greendale. Walk to Ricardo's pizza, a local wine bar, frozen custard shop, upscale Joey Gerard's, bar and grill and BBQ restaurants. Also, local boutique shops. Greendale also hosts some local festivals year-round, outdoor concerts at the Gazebo and Farmer's market. A short drive from Milwaukee and all this great city has to offer. Newly renovated porcelain tile in kitchen and hallway. Fresh paint! Greendale is my hometown. We moved there when I was a baby and I lived there through high school. Although I moved away from the town for 30 years, I still frequently visited and this village is near and dear to my heart. I was finally able to make my dream come true and purchase a Greendale original. I live on the property off and on during the year. I love being so close to the village, the amenities it offers and being within walking distance. The neighbors are wonderful! We had everything we needed to have a ladies shopping weekend. Jennifer was easy to communicate with and made sure we are well taken care of. The village of Greendale is in walking distance and nice to browse around. Thank you for the kind words. I’m so glad you enjoyed your stay. I truly take pride in the community of Greendale which is where I grew up. It was a pleasure to open my home to all of you. This home and community was a lovely place to recooperate from surgery. It was close to the hospital but far enough away to feel like your out of the city. We would love to stay again next time we're in Milwaukee. Thank you Shelly! Glad you enjoyed your stay. It was wonderful having you. Hoping for a speedy recovery! "Cozy Little Cottage" is how I would describe the house. And it's very close to everything. Very nice stay. Thank you Kimberly! I'm glad you enjoyed your stay! Loved the location of the little house. Just a short walk away from the downtown area. Everyone was very friendly. Thank you Marygael! It is a very special area and there is nothing like the friendliness of neighbors and friends in this town! I am so glad you enjoyed your stay! 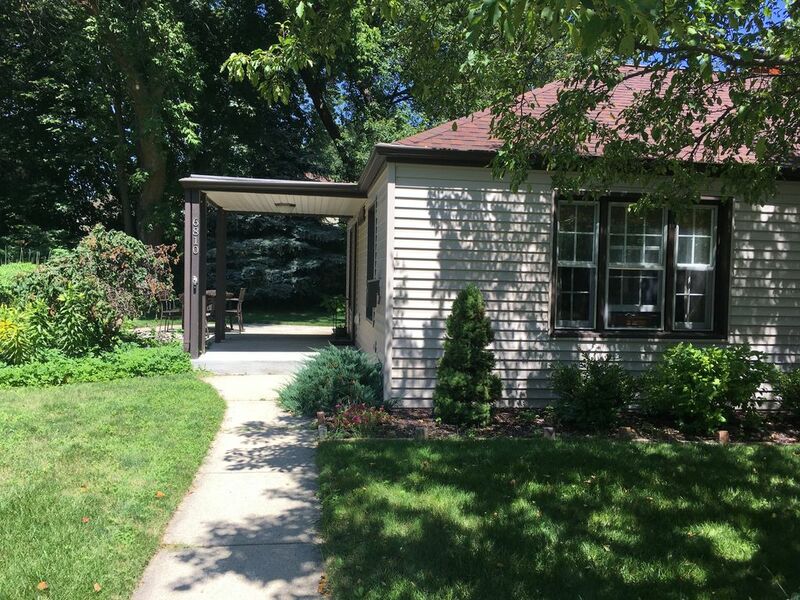 I had a great week in Greendale and Milwaukee, everything perfect and clean in the house and all amenities as described. House is fully equipped with everything you may need, Walmart for groceries and the Southridge Mall are just in a 3-minutes-driving-distance. Historic Center with several stores and restaurants is only in 5-minutes-walking distance. All necessary information was provided immediately. I highly recommend Jennifers house and would return any time. Thank you! I’m so glad you enjoyed your stay. You were a wonderful guest. The only reason I gave you a four out of five stars for house rules was because the kitchen window was left open after you checked out. I would be happy to host you again. Safe travels! We were very pleased with our stay in Greendale and the location of our rental. We were able walk and/or ride our bicycles to the historical downtown area and around the community. The historic downtown area has been updated and very well maintained by very involved local citizens. We were also very impressed with how everyone maintained their lawns/homes. You can really tell folks takes pride in their community. If you get a chance to learn about Greendale - it's very interesting... from it's Greenbelt history to the Chimney Tours to Taste of Home test kitchen. We were so glad we decided to make this base. Rental is also close / easy drive to downtown Milwaulkee, which too has some very interesting sites - check out the Art Museum at closing time. Although we could not get our motorcycle trailer down the small side street to the driveway of our rental (calls parked in narrow street) we were able to find another area nearby at last minute. Lastly, but not leastly, Jenny was terrific. She responded very promptly to my many questions before our travel... Jenny, we greatly appreciate your hospitality and will keep your your place in mind should we make it that way in the future! Thank you so much Joann for that glowing review. Yes, Greendale is a gem! We moved there when I was a baby and I lived there all through high school. It has a very special place in my heart and I am so thrilled that I can own an “original“. I am sorry you weren’t able to get your trailer through the narrow street but I’m so glad you enjoyed your stay and that it all worked out well. Would be happy to have you at again as a guest anytime! Close to Whitnall Park and Boerner Botanical Gardens, hosting China Lights every fall - fantastic silk creations with incredible light display. Ferch's family friendly restaurant with frozen custard, downtown Greendale's gazebo with a number of events depending on the season.